But even though it is clearly a mistake, I went ahead and grabbed a screenshot for the fun of it. We’ll see how long it takes them to correct it. I have been getting a lot of visitors to the Star Wars Pumpkins post from a couple years back. I still like the Death Star pumpkin the best. How about you? Click here to visit Star Wars Pumpkins. Woo-hoo! 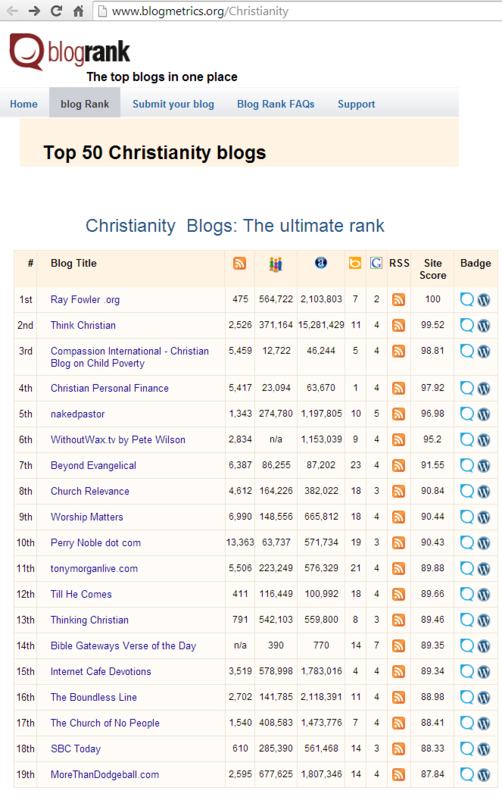 The visitor count at RayFowler.org broke the one million mark last night . I feel like celebrating, so go out and treat yourself to something really nice! Here is a snapshot of the statcounter from last night around 11:00 p.m. The relevant stat here is the total under the column marked “Unique Visitors” (1,000,052). The one-millionth visitor hailed from Manakin Sabot, Virginia in the United States. They arrived at the blog via a Google search for “psalm 8 sermon,” which brought them to the sermon at the following link: Our Place in God’s Creation – Psalm 8. Welcome Digg users! 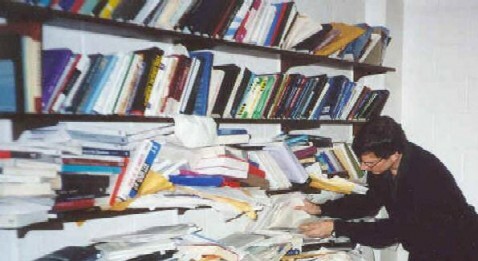 A number of you are looking for the picture of Quentin Smith’s desk. Click on the following link to go to the post you are looking for: A Messy Desk is the Sign of an Orderly Mind. By the way, if you like the post feel free to go ahead and Digg it. I don’t think it has been Dugg before. Sorry if you had any troubles with the blog this weekend. I ran into some problems and had to restore a backup version of the database. The backup was a week old, so that also meant rebuilding the posts and comments from the past week. I apologize if you got a number of repeat posts in your email or RSS feed. It seems to be fixed now, so hopefully things are back to normal (or for what passes for normal around here!). Sorry everyone, but I need to close the blog down again for a while. I am moving this week and will not be able to keep up with posts or comments. Once again, If you are a regular reader, instead of checking in each week to see if the blog is back up, there is a better way. Click here to subscribe by email, and you will automatically get an email notifying you when I start posting again. (This is through a service called FeedBurner. There is no cost, and they do not give away your email address or use it for anything else.) Or if you are familiar with RSS, you can subscribe by feed reader. Thanks, and Lord willing I will see you back here after a while! I will be taking an extended break from blogging starting today. No, I am not burned out on it. I enjoy sharing information and interacting with you through the blog, and I will miss this part of my daily routine. But as we are in the midst of trying to sell our house and in process of seeking God’s next place for us, I need to focus on other things right now. How long of a break am I planning? I don’t know yet. It may be several weeks. It may be for the rest of the summer. At this point I just need to take things one week at a time. If you are a regular reader, instead of checking in each week to see if the blog is back up, there is a better way. Click here to subscribe by email, and you will automatically get an email notifying you when I start posting again. (This is through a service called FeedBurner. There is no cost, and they do not give away your email address or use it for anything else.) Or if you are familiar with RSS, you can subscribe by feed reader. I will keep comments open for a few more days, but after Wednesday this week all comments will be closed until I return. However, I will keep the blog and all its archives up and open for searching and browsing. If you have any questions or I can help you in any way, you are always welcome to contact me by email. God bless, and thank you for reading! Today marks the two-year anniversary of the start of this blog. It has been a good year with a lot of new readers and guests. I somehow hit the front page of Digg back in June which gave the blog a nice boost (you can read about it here), but most of the growth has come through good old-fashioned word-of-mouth via links on the web and the magic of search engines. I realize that is chump change compared to the “super blogs” out there, but it is some nice growth and I am happy to share what I share on this blog with as many people as I do. So thanks for reading, thanks for linking, thanks for commenting, and here goes for year number three! Related post: 1-Year Blogiversary Bash! Look Ma, Someone Messed Up My Blog! Oh, that would be me. One of these days, I will enjoy a simple, pain-free process in upgrading my blog. Today is not that day. Oh well, until I get it all figured out, I apologize for the strange layout problems you may be viewing (wide-stretched theme, misplaced sidebar, double photo in header, etc). Unfortunately, I have neither the time nor energy to fix it right now. Update: I have temporarily switched over to the WordPress Default theme until I can get things fixed on my regular theme. The default theme does not display the links to the pages, so here they are if you are looking for them. Update 2: Fixed. It turns out there was a bug with K2 RC7 and WordPress 7.1. Here is the link if anyone has the same problem: WordPress 2.7.1 and K2 1.0-RC7 I just uploaded the new info.php file, and everything worked fine again. I will be taking a break from posting this week. I will also be doing some badly needed blog maintenance, so don’t be surprised if the blog keeps changing in appearance throughout the week as I work on updating the software and theme. 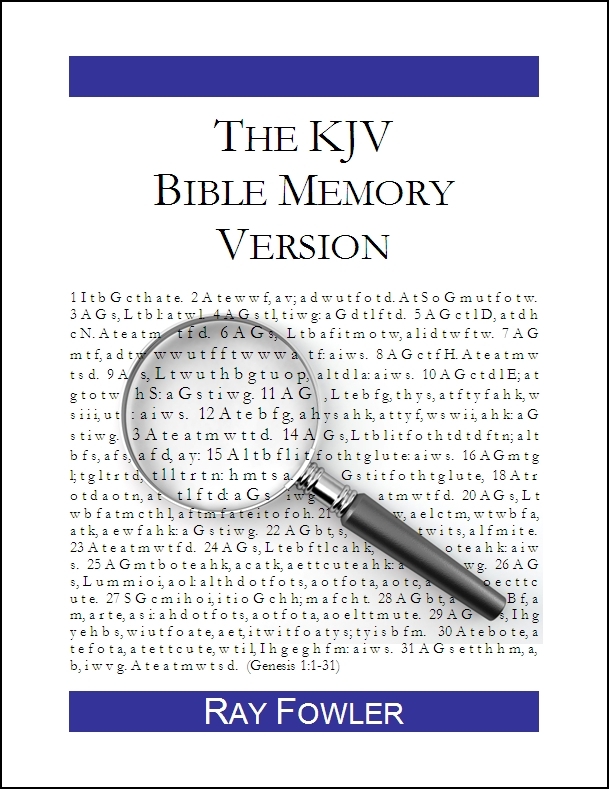 In the meantime, if you are interested in starting a Bible reading plan for the New Year, here are some links I posted last year that you should find helpful. Some pencils were scattered around on my desk. I picked them up one by one. I placed the pencils in the drawer which I use to store pencils. There was a cupboard in the corner of the room. I reached out my hand and gripped the door handle. I pulled the door towards me, thereby opening the cupboard. I was standing at a central point in the room. The walls were all at approximately the same distance from me. I continued to stand there for a few moments. My knee had a slight itch. I reached out my hand and scratched the knee in question. The itch was relieved and I was able to continue with my activities. Read more thrilling entries like these over at Dave Walker’s The Dullest Blog in the World. Be sure to check out Dave’s more “serious” site too at CartoonChurch.com.